Azerbaijan banking sector was prospering during 2018. The year was marked by stabilization of banks and increase in lending in the country. Restoration of a tendency of staff increase in the banks was another significant factor. Active preparation of the so-called "Baku approach" was conducted throughout the year to combat the growth of problem loans. Yet, this document is still under development. It is also worth mentioning the creation of the first private credit bureau and the register of movable property, as well as the consistent reduction of the discount rate in Azerbaijan. The issue of digitalization of banking services was a highlight throughout the year. Banks actively developed this area, and the Central Bank launched the first blockchain project in the country. Azerbaijan credit institutions were able to increase lending during the year, for the first time since 2015. The volume of loans as of December 1, 2018, amounted to 12.56 billion manat, increasing from the beginning of the year to 806.4 million manat or 6.86 percent [hereinafter, figures for December 1, 2018]. Due to this fact it was also possible to reduce the amount of overdue loans by 67.5 million manat. Once again, retail loans dominate in lending and in recent years, their share is gradually enlarging. If this indicator was 35 percent in 2016, and 39 percent in 2017, then the share of consumer lending in 2018 reached 42.2 percent, approaching the pre-devaluation rate of the beginning of 2015 as close as possible. Gradual reduction of US dollar loans continued last year as well. Since the beginning of the year, their volume was 4.67 billion manat decreasing by 131.3 million manat (by 2.7 percent), and the share declined from 40.86 to 37.2 percent. There was a slow decline in the deposit base of banks during the year, but in the third quarter their growth resumed again and amounted to 21.99 billion manat by rising to 1.39 billion manat (or 6.75 percent). The deposit base is growing due to individuals and non-financial organizations whose deposits enlarged by 512.3 million manat (6.78 percent) and 1.27 billion manat (11.4 percent), respectively since the beginning of 2018. Meanwhile, the deposits of financial organizations decreased by 388.1 million manat (by 20 percent). It should be noted that the deposits grow mainly due to allocation in manats. For instance, deposits in national currency of individuals rose from the beginning of the year by 489.5 million manat and equal 3.02 billion manat, while the US dollar deposits only by 23 million in manat terms amounting 5.05 billion manat. Nevertheless, the US dollar deposits still prevail in the structure of individuals’ deposits. For non-financial organizations, the structure of the deposit portfolio is as follows: manat deposits increased by 1.15 million and equals 3.97 billion manat, US dollar deposits by 114.3 million amounting to 8.4 billion in manat terms. From the beginning of the year to the end of November the staff of bank employees rose by 7.1 percent to 17,321. Previously, this figure was reduced due to closure of some banks and reducing the profitability of existing banks. The development of digital sales channels, internet and mobile banking in Azerbaijan is envisaged in the Strategic Road Map for the Development of Financial Services. It is expected that in 2020, as a result of digitization, Azerbaijan’s GDP will increase by 135 million manats. Digitalization will make it possible to increase the total income of banks in 2020 by 20 percent. At the same time, banks will need investments worth about 100 million manats to carry out this work. Over the past year, many banks have actively started implementing digitalization. For example, Kapital Bank began working on the creation of the country’s first digital branch. The work on the development of digital sales channels helped some banks to transfer most of their operations with customers to digital form. For example, at Unibank, more than 70 percent of the total volume of transactions of corporate customers passes through digital channels. The bank plans to bring this figure up to 90 percent. Another example is the implementation of money transfers via bots in Telegram and Facebook Messenger (Rabitabank implemented this function). Banks also began to work on the provision of mobile e-signatures. Now Kapital Bank also has this option. At the same time, the work has begun in Azerbaijan on introducing the possibility of mobile payments using ApplePay and SamsungPay. The work being implemented in the banking sector allowed bringing the share of online transactions with current accounts to 25 percent in January-September 2018, which is 3.3 times more than in the same period of 2017. After many years passed, a register of movable property, which should help simplify the access of business to finance, has started operating in Azerbaijan. Azerbaijani legislation didn’t prohibit using movable property as a pledged item. However, due to the lack of sufficient information, credit organizations preferred not to take such a risk, because it is not always possible to establish who actually owns this property and whether it is already a subject of pledge. Because the registry stores information on movable objects, any credit institution can, before accepting an object as collateral, check whether this object is already collateral for another loan. On one hand, this helps micro, small and medium businesses that don’t have real estate as collateral to get access to loans, on the other hand, this helps banks to choose their borrowers more carefully and minimize the risks of overdue loans. Last year, the first private credit bureau was opened in Azerbaijan. Prior to this, only the Centralized Credit Registry operated in the country. Compared to this registry, the credit bureau has much more information about borrowers. For example, there is information in the bureau not only about the credit debts of borrowers, but also about the delay on utility payments, debts to mobile operators and others. Just like in the case with the movable property registry, this allows banks, having more information, to take a more balanced approach to the issue of lending to borrowers. The bureau was in demand among banks. Last year alone (starting from March) - banks and other credit organizations sent over 1.8 million requests to the bureau. Another 12,573 requests were sent by individuals and only 86 were sent by legal entities. The bureau provides five kinds of services - it renders information on credit accounts, provides a credit scoring system, a service of archival data, as well as information on mobile and utilities bills. The whole last year, there were favorable economic indicators for reducing the discount rate - low inflation, recovery of economic growth, increase in the population’s income, etc. At the same time, in the second half of the year, the Central Bank of Azerbaijan (CBA) reduced the discount rate at only one of three meetings, and this was related to increasing external risks, in particular, with the volatility of national currencies of a number of countries. This created a certain psychological background, and the monetary regulator decided to refrain from further reducing the discount rate. In total, last year, the CBA reduced the discount rate four times: in February from 15 to 13 percent, in April from 13 to 11 percent, in June from 11 to 10 percent and in October from 10 to 9.75 percent. In August and December, the discount rate remained unchanged. Last year was also marked by changes in the regulatory documents affecting the activities of banks. In particular, last year, structural changes took place in the Financial Market Supervisory Authority of Azerbaijan (FIMSA), and the Board was created. It became the main governing body of the financial regulator and replaced the Council of Directors. Ibrahim Alyshov is acting Chairman of the Board, and he previously was the executive director of the FIMSA. Most of the changes were made in the second half of the year. The rules for creating transitional banks can be mentioned among the important documents adopted during this period. The purpose of their creation is the temporary management of assets and liabilities of insolvent banks. Only FIMSA can create such a bank and it is its sole shareholder. A temporary administrator is appointed to the bank, whose task is to improve the quality of assets and increase profitability. But, if this is impossible, the bank must be liquidated. Moreover, FIMSA approved the rules for determining measures on the resolution of insolvent banks and holding auctions in 2018. Certain changes also affected the rules of lending by the Central Bank. Thus, the banks can use movable property as collateral to obtain refinancing loans from the CBA. The refinancing loans are issued if banks have depleted their resources or unable to replenish them from other sources. Here the "Rules for calculating capital in banks and its adequacy" can be mentioned. 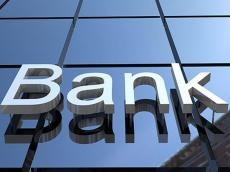 New rules, highlighting the systemically important banks in a separate category, tightened their requirements. For example, capital adequacy ratio requirements for such banks will increase every six months. These requirements will not change for ordinary banks. Of course, the documents were also adopted during the year, the effect of which can be seen this year. For example, the rules for determining limits on an open currency position (they will take effect from March) or rules for classifying assets and creating reserves to cover losses (they will take effect from May). A law on payment services was also drafted, which aims at improving and expanding this area, as well as, for example, simplifying the work of fintech companies in Azerbaijan. However, the time-frame for the adoption of this bill is still unknown. According to the Strategic Road Map for the Development of Financial Services, the implementation of the measures outlined in the document must help increase the country's GDP by 750 million manats in 2020. In this regard, it is possible to say that the banks are approaching the finish line. The banks managed to stabilize their work in 2018. The introduction of new tax incentives for entrepreneurs, the development of the SME segment, one can expect lending and the deposit base to continue to grow in 2019 rapidly amid the improvement of business climate, while banks will increase their role in the real sector.